Froy and Toph would have a field day with this lineup. And RIGHTLY so! If either or both of them are going to re enter this website they now have an opening. They release a GREAT concept album that they should be playing in its entirety across the US and they choose this? Why?? I just hope that they aren’t the opening act. If so look them to be opening this summer for the Bearded Lady. Last edited by yogi on Wed Nov 28, 2018 8:39 am, edited 1 time in total. Apparently Carrot Top was not available. Personally I would not be interested. As stated before they did this on the opening shows of the Edge tour before going to Vinnie James. The comedian only lasted a couple of shows. Some people might enjoy it but I would rather see another band. On the one thing I saw, Styx was listed at the special guest. If that is the case, they are the opening act. Or it could be co-headliner and they flip flop. Styx is not the opening act for any of these shows. As Styxcollector pointed out they are mentioned as "special guest". So if they are the "headliner" then why would they be referred to as "special guest"? Special guest? So a full Larry comedy show that wraps up with Styx playing for 45 minutes? StyxGuy wrote: Special guest? So a full Larry comedy show that wraps up with Styx playing for 45 minutes? Special guest = opening act, not the other way around. 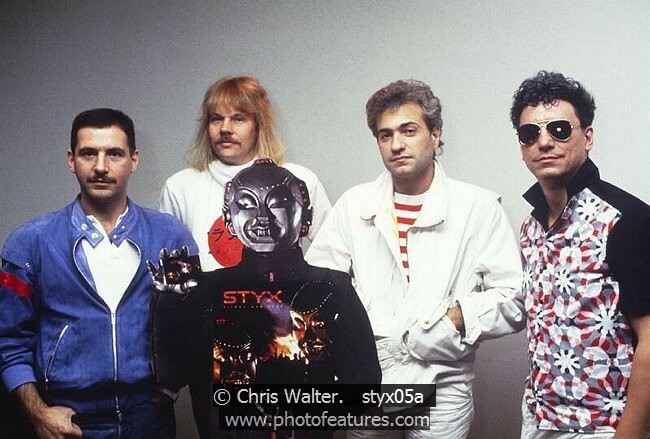 Sad to say Styx doesn't seem to far off of this with this tour IMO. Styx is my favourite band.And Larry is my favourite cable guy ,along with Jim Carrey. The way I see it, it's a win win. It looks like Larry the Cable Guy cancelled a few shows on the tour, so far. I think this is why Larry isn't touring with Styx, these are the tickets still available for Fargo. Larry is no dummy on this one! WOW... Terrible mistake... I don't know what Tommy and JY were smoking when they thought this was a good idea.